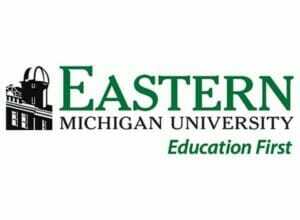 Eastern Michigan University appears in our ranking of the 10 Best ABA Master’s Degree Programs in the West. Eastern Michigan University is one of the few colleges in the nation with degree programs for undergrads, graduate students and doctoral candidates with an emphasis in Applied Behavior Analysis. Undergrads can enroll in the university’s psychology program and choose a minor in human sexuality or secondary education. The ABA concentration is popular among students who want to work with those who have behavioral problems. It requires that they take 14 credits of core psychology classes and 12 credits of electives. Those courses may include Introductory Experimental Psychology, Abnormal Psychology, Dynamics of Personality, Learning, Social Psychology, and Motivation and Emotion. To complete the ABA core, students will take six hours of electives that relate back to the topic and 13 credits of required classes. They will take both Self-Analysis and Control and Applied Behavior Analysis for Children with Autism as well as Fundamentals of Applied Behavioral Analysis. A field experience course is worth another three credit hours. It requires that students spend a certain number of hours every week working in the ABA field. A Clinical Behavioral Master of Science in Psychology can help students who want to work with those on the spectrum and related disorders. This program starts each fall and features a clinical practicum that allows students to work with actual clients in clinical settings. They must take 28 credits of required courses and maintain a 3.0 grade point average. Those classes include Psychology Statistics, Behavioral and Other EBTs, Clinical Behavior Analysis and Cognitive Assessment. While students earn eight credits for their practicum work, they’ll also need to take nine hours of electives. The university offers a Doctor of Philosophy in Psychology with several concentrations that include an Applied Behavior Analysis concentration. Not only will majors take some required classes, but they will also go through both clinical training and research training. They learn how to conduct research and create papers suitable for publishing through their research training, while their clinical training helps them understand the fundamentals of working with clients. Students take between five and six years to earn their doctoral degrees. Eastern Michigan University is one of the oldest colleges in Michigan. Established in 1849 as a teaching academy, it served as the Michigan State Normal School for many years. It would become the Michigan State Normal College near the turn of the century and later used the name Eastern Michigan College. The Eastern Michigan University only came about when it gained university status. Also called EMU, it is now a public university overseen by a Board of Regents. Though most know EMU for its flagship campus in Ypsilanti, it also has eight satellite campuses and regional study centers. The oldest of those is in Jackson, Michigan, which was established in the 1970s. Doctoral students can enroll in a joint program offered by the university and Grand Valley State University. Its main campus is just a short drive from the major cities of Detroit and Ann Arbor. More than 20,000 students across all levels now attend EMU annually. Though the ABA concentration in its psychology programs does not have accreditation, the psychology programs at both the graduate and doctoral levels do. That accreditation comes from the APA itself and applies to both the courses offered and the work that students do away from the campus. EMU also has accreditation from the Higher Learning Commission (HLC), which is what entitles it to give financial aid packages to all its students. HLC accreditation also lets EMU students transfer credits to other schools and apply credits from those schools into the university’s degree programs. EMU looks for undergrads who will do well at the college level. The average incoming freshman will have a grade point average of 3.28 and a score of 22/1100 on the ACT/SAT. Prospective undergrads who have questions about the application process can talk to an EMU enrollment counselor. Students will submit their applications through the university’s admissions portal and pay their application fees online. They can then submit official test scores from a testing board and transcripts from their high schools. Graduate students applying to the EMU ABA program must submit an application and pay a $45 fee. This application asks students to write a personal essay of around 500 words and an essay on an ABA topic of the same length. There is an optional diversity essay that they can write too. Once the university receives applications, it will go through them and pick students that it wishes to interview. Those students will need to submit GRE scores and transcripts. The university will also ask them for a writing sample, resume and letters of recommendation. Students can submit this work online. EMU has the same requirements for doctoral students. After they submit their applications, they will either get a rejection letter from the university or a letter that states they need to interview for the program and submit other information. Doctoral students will pay the same $45 application fee too. Both undergrads and doctoral candidates/graduate students pay different rates depending on whether they are Michigan residents. Undergrads pay $10,686 per year if they qualify for the in-state tuition rate, which only applies to full-time residents of the state. Students who are not residents will pay $26,104 per year. Graduate students pay $8,844 per year as a resident and $15,744 every year as a nonresident. Students enrolled in the doctoral program pay between $10,212 and $17,832 per year based on whether they qualify for the in-state or nonresident rate. Students typically look for financial aid that they can use while in college that they do not pay back before they consider any loans. The easiest way for students to get those grants and scholarships is through the FAFSA. EMU will use their financial information to determine if they qualify for need-based aid such as a foundation scholarship. Their applications will help them qualify for merit-based scholarships. The university offers funding options for students who need help paying for study abroad programs too. Any student with an interest in one of the applied behavior analysis programs offered by Eastern Michigan University should consider all their financial aid options.